Meeting at Explore Highland office, we issue a suitably sized wetsuit, wetsuit shoes, paddling jacket and paddle to everyone. Depending on wind/weather a suitable location for sea kayaking will be decided. 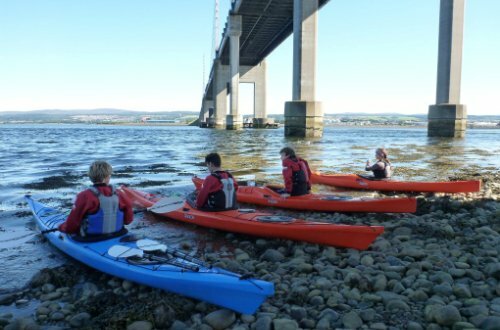 Where possible the first location choice is a scenic paddle out onto the Beauly or Moray Firth (depending on winds & tide times). Bad weather options include paddling out onto Loch Ness from Dochgarroch or Dores. Final back up option for more shelter would be to head to either Loch Achilty.